Rated 5 out of 5 by jeaniejack from Want more games like this one PLEASE I loved this game, NO HIDDEN OBJECT SCENES! I would love more games like this one. Rated 5 out of 5 by Yanie1020 from Game Deserves 5 Stars In Spite of Easier Puzzles Not only are the graphics fantastic, but there's an array of puzzles that may not be that difficult but they sure are fun. And no HOS's! A big plus is the music. I even turned it up! I only remember doing that once or twice before. Music can really make a game for me. If I can enjoy it while I play along it adds so much more. Kudos, ERS, for choosing a great score to go with the fun! I do believe ERS is now in a tie with Mad Head for my favorite developer. 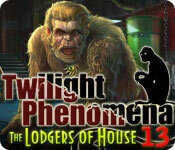 In fact, I'm going to purchase the other Twilight Phenomena game right now. Hope it's as good as this one! Rated 5 out of 5 by bluesycat from Just My Kind of Game This review is based on the demo. I loved this game and will use one of my freebies to buy it. The game is VERY EASY. I played in casual mode, but I think it will still be easy in the most challenging mode. This game is NOT for you who like very challenging games. I like being able to move from one scene to the next without having to spend a lot of time trying to figure out what I'm supposed to do next. I like my game to be like reading a novel, not a legal brief, and this one is perfect at that. The artwork and the music are great. Good creepy story, with consistent - so far - internal logic. All of the puzzles advance the story, but you might wonder why the narrator takes the various actions s/he does. Overall, a nice hour that I hope will extend a lot longer! Rated 5 out of 5 by rpggramma from GREAT FUN!!! Loved this game!!!!! So much fun! No help, no map, no collectibles or achievements, and NO HIDDEN OBJECTS!!!! YEH!! Not too much journal, either. Reminds me of the old RPG games, a while back, which was so much fun. Great storyline. Heads took a little getting used to. Puzzles were very good. Great game length; get your moneys' worth! I really liked this, good, clean, old adventure!! GO FOR IT! Rated 5 out of 5 by BigFishFan35 from Love PA Games - No more HO Love and adventure game with puzzles and no HOS. SO TIRED of games with all of a sudden junkpile of some garbage that most of what you dont even need in the game ...Great game. Rated 5 out of 5 by Scarletraven from An adventure! Loved this game! It was very interesting and there were good puzzles. I loved that it wasn't a HOG and that there were animals. I especially loved the kitty helper. It was a great idea. Rated 5 out of 5 by rierie from Perfect,so glad it's not tedious mind-numbing hidden object. I trawl through so many 'adventure' games to find one that truly is an adventure game. 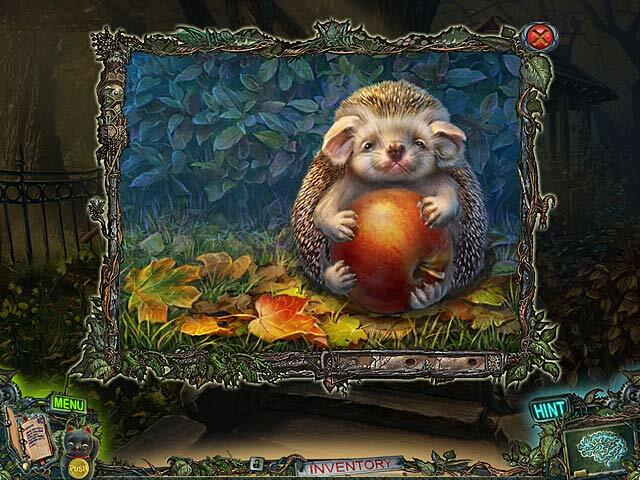 I was so relieved when there wasn't 1 single Hidden Object scene.Each time I had to leave the game I couldn't wait to play some more, the story kept you wanting to know what was happening and the puzzles were just my level, you had to think a little or use skill but it wasn't way too easy or so hard you had to skip it. 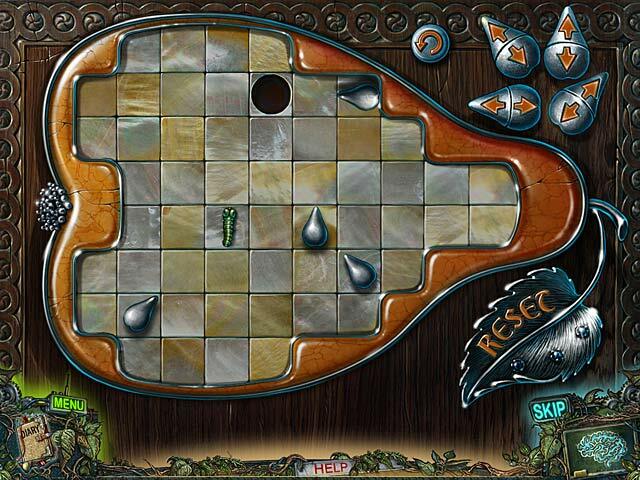 Rated 5 out of 5 by nannacroc from Great Adventure Game Brilliant game. 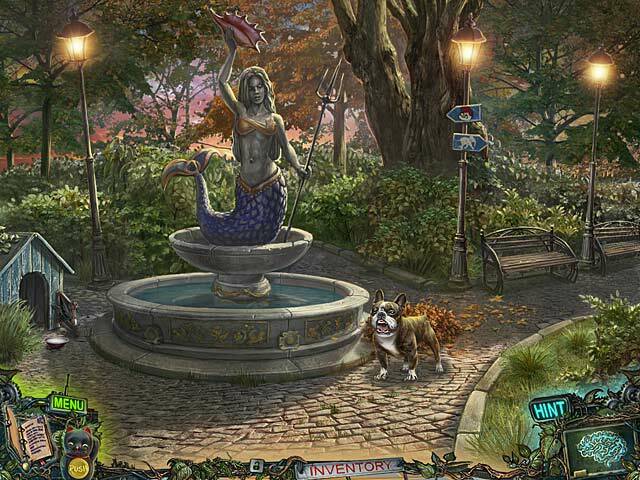 No hidden object scenes, which makes a nice change. Puzzles are set at a good level. A game you need to think about to complete. I thoroughly enjoyed this game. Rated 5 out of 5 by jeep1027 from this ones one of the best ive played wow! i like the storyline in this game and the action in it. The game is challenging but not so challenging that i bore or get tired of being stuck. The music is interesting and the chimes are a nice touch. What i like about this game is the hologram cat assists you in the gameplay. This is a really nice game and it keeps me interested without frustrating me. That alone makes for a perfect score. I will buy more like this one for sure. Absolutely a keeper. Rated 5 out of 5 by KeysPirate from Beautiful! (Except for the heads) I had to rate this game 5 stars because the graphics were outstanding, and it is the best game I have played in a long time. The puzzles were not difficult -- geared toward young children, I'd say -- but they were certainly unique and I loved all the colorful jeweled objects and the animated critters. The whole game (except for the heads) was real eye candy. Most scenes were bright and colorful. The absence of HOs was a giant plus for me, since I don't enjoy squinting to find useless objects in junk piles, no matter how clever they may be. There were some genuinely creepy surprises, which startled me a bit but definitely added to the atmosphere. The only negatives (which I mention not to discourage anyone from buying the game, but just in case the developers are tuning in...) were the music (repetitive and not well suited to the action) and a not very satisfying ending. I didn't know there was a CE version, but from the reviews I read, it does not sound like the CE provided what I had anticipated for a conclusion. Had the game not been so enjoyable otherwise, I would have knocked off a star for that. It seems a shame to have such a good and surprisingly long adventure end so abruptly. Don't we deserve a finale that wraps up the story and resolves the mysteries? Even a written epilogue would have been appreciated, though frankly I would have liked more than that.